Kudos to Apple and its engineers! As seen today on Surfin' Safari: "We have recently switched over to use an engine-based implementation for <input type="text">. (…) initial measurements indicate a significant speedup in load performance for pages containing text fields." Today, Mac OS X is 5 years old. 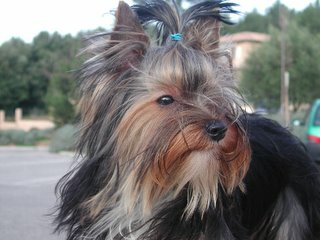 But, more importantly, Ulysse—my beloved li'l dog—is 3 years old :) ! So Happy Birthdays, to both of you!